In our modern society younger and younger children are becoming extremely tech savvy and technology orientated. There are apps specifically created for kids to help them learn and develop, game stations to absorb their free time and even e-readers which allow parents to download story books. This gadget frenzy may make parents quite nervous, and especially when it comes time to plan the family holiday – will the kids be totally miserable and thoroughly bored if they cannot bring their Playstation? However, recent research by Eurocamp has revealed that Primary School children still favour more active pursuits like pool and beach activities whilst abroad. The survey questioned over 1,500 families to find out what activities children enjoy most, and how families felt about each other. 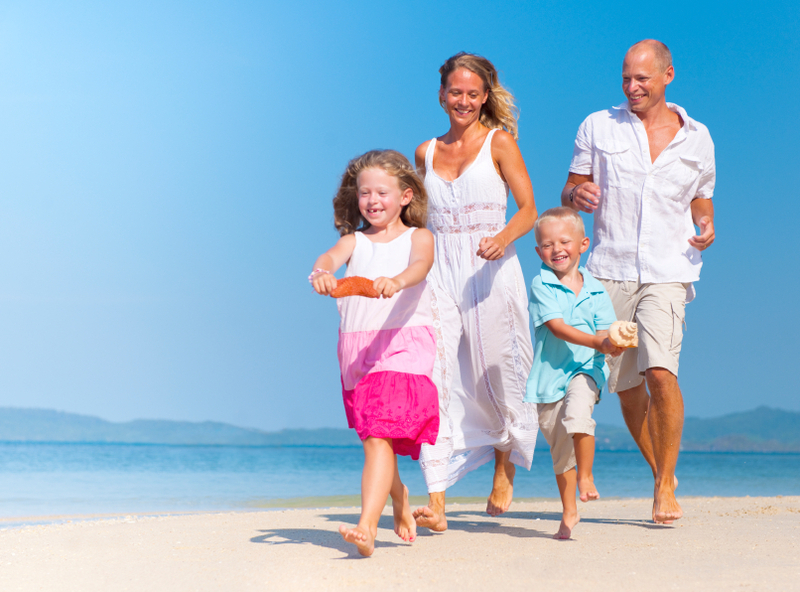 For example, over 75% of parents said that their family bond felt strongest whilst doing activities on holiday. This topped the holiday wish list for children, who wanted to try swimming and diving in a pool, visiting a water park or playing in the ocean. Also popular were things like building sand castles, flying kites, collecting shells or looking for crabs. The children polled apparently loved visiting new places and collecting new experiences, so they enjoyed walking in the country side, visiting a castle and trying to spot lots of animals at the zoo. Try taking your kids to a new restaurant where they can feel grown up and perhaps even try some new foods (probably from your plate!) If that doesn’t appeal, every child loves a good old fashioned BBQ. If all else fails, why not turn to some classic games to involve the whole family, for example hide and seek or fun memory games. Alternatively, more organised parents could arrange a sightseeing activity where kids have to spot certain landmarks or holiday items to get ‘bingo’. For example, a palm tree, a famous statue, the sea etc. This could be used on long journeys or throughout the whole trip, and could result in a small prize like ice cream! If you’re planning a family holiday, just remember to visit Holidaysafe.co.uk for quality and affordable family travel insurance.